In Bernard Malamud’s “My Son the Murderer,” we arrive at the limits of magical realism’s ability to transcend the damning, genocidal socio-political realities of a given narrative moment. That the story’s given “moment” is America in 1968, the year Martin Luther King and Robert Kennedy will be assassinated, inner-city race riots will erupt all across the nation, and President Nixon – elected by landslide only months earlier – will green-light the illegal bombings of Laos and Cambodia, is no coincidence: Malamud was smart enough to know that his stock-in-fictional-trade, the weaving of the everyday and the magical, or, more specifically, allowing the subtly magical to transform the often stifling horrors of everyday life, was of no use when confronting the socio-cultural holocaust his government was enacting both at home and abroad. “My Son the Murderer,” then, is a story written in the fall-out of such holocaust, when the artist has to face the limits of his power – the power to change, to absolve, to heal – and then to illustrate what the very dimensions of that violently de-mystified, un-enchanted space become with such limitations acknowledged. Unlike so many of Malamud’s most beloved and widely-known works – “The Magic Barrel,” for instance, in which the Christ-like Saltzman re-animates the romantic impulse in the story’s narrator – there will be no such men here. They were already dead (or were dying) in the streets of Saigon and the fields of Da Nang, or they had long ago fled to Canada or Mexico or Western Europe, if they were not already floating in a semi-paralysis of hallucinogenic drugs, long past the point of being able to save anyone or anything, least of all themselves. “My Son the Murderer” is Bernard Malamud’s version of what happens when there is no one left to walk on water, and where the water itself becomes not an enduring oasis of spiritual regeneration, but a terrifying emblem of nature’s eternal indifference to man’s suffering. If, as Daniel Stern has written, part of Malamud’s “special territory...is the presence of the magical in everyday life,” “My Son the Murderer,” from the very first line, dramatically emphasizes that this is no typical Malamud story: "He wakes feeling his father is in the hallway, listening. He listens to him sleep and dream. Listening to him get up and fumble for his pants. He won’t put on his shoes. To him not going to the kitchen to eat. Staring with shut eyes in the mirror. Sitting an hour on the toilet. Flipping the pages of a book he can’t read. To his anguish, his loneliness. The father stands in the hall. The son hears him listen." Where in The Natural the narrative’s overall tone is a mixture of the marvelous and the mundane – the mythic, Herculean strength Roy Hobbs’ bat inspires, the uncanny, almost eerie beauty of an empty Illinois baseball stadium during the visiting team’s batting practice – “My Son the Murderer” immediately establishes a much different mixture: a multi-generational despair that infuses the everyday with an almost nihilistic dread. If magic realism – and this is especially the case in many of Malamud’s tales – is defined by an innately divine beauty emanating from even the most inert of objects and in the most unlikely of places, the existential terror of “My Son the Murderer” is that the characters know all too well that not only is there nothing innately divine about the objects and spaces they use and inhabit, but that such nothingness – or, in this case, magical “lack” – is a circumstance they are incapable of escaping. This is especially pertinent in the America of 1968, which had become a country for whom the values of its citizens’ lives had been reduced to the simple arithmetic on their draft cards, and whose personal “worth” was defined by whether or not they were willing to become cannon fodder for an imperialistic military endeavor. In this context, Harry must confront the awful truth of his existence: not only was he born to die, but to kill, and there will be no impromptu moment of magic to change his fate. And it is not that Harry does not try to “run.” Much of this brief story concerns Harry’s various attempts to “run,” be it petitioning the draft board for conscientious objector status, to disappearing into the fictional worlds of the texts that he reads (he owes a former friend several books that she once loaned him), or in the story’s climactic passage, leaving his father’s house and traveling to Coney Island – which for him is a figurative symbol of the innocence, joy, and possibility of not only a youth, but a nation that no longer exists. Harry seeks to “cross” the fixed, awful borders his government has set for him, but to no avail. To quote the text’s most harrowing passage, when Malamud describes Leo’s attempts to follow Harry: "He followed Harry to Coney Island and was in time to see him board a trolleybus going to the Island. Leo had to wait for the next one. He thought of taking a taxi and following the trolleybus, but no taxi came by. The next bus came by fifteen minutes later and he took it all the way to the Island. It was February and Coney Island was wet, cold, and deserted. There were few cars on Surf Avenue and few people on the streets. It felt like snow. Leo walked on the boardwalk amid snow flurries, looking for his son. The gray sunless beaches were empty. The hot-dog stands, shooting galleries, and bathhouses were shuttered up. The gunmetal ocean, moving like melted lead, looked freezing. A wind blew in off the water and worked its way into his clothes so that he shivered as he walked. The wind white-capped the leaden waves and the slow surf broke on the empty beaches with a quiet roar." Though the story is a powerfully rendered version of the Coney Island Boardwalk off-season, eerily vacant, the winter silence stripping it of the artificial “marvelousness” that is its bread-and-butter, I think a second, more pertinent reading of the passage is in order. Namely, that this passage represents Malamud’s authorial “journey” into what Dante would call the “dark wood” of the marvelous, only to find it lacking, de-mystified, and powerless to provide the storyteller the possibility of escape he so badly wants to provide for Harry, for himself, and, most importantly, for us. Malamud implicitly alerts us to the sobering fact that the storyteller’s art is no match for the annihilating powers of the state; there will be no magical escape for the characters or for us because magic cannot exist in a space where the potential carriers of such magic – the young, especially – are being systematically turned into killing machines and then shipped overseas. A rollercoaster – and the suspension from the “actual” that it represents – has never looked more pathetically helpless than it does in “My Son the Murderer,” mounted like a car with no wheels in the front yard of a rundown home in the Midwest, or like a condemned warehouse near some ruined shipyard in Southern California. 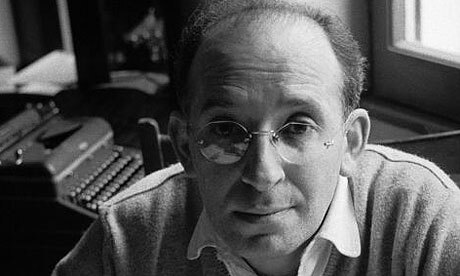 Perhaps this is why “My Son the Murderer” is rarely written about in scholarly texts: by choosing to reject the possibility of hope the magic-realist narrative represents to the politically powerless and the socially marginalized, Malamud is removing what has become a vital means of countering the dominant, often patriarchal state structures that disimpower the individual. The message in “My Son the Murderer” is that no amount of the marvelous can change the fundamental truths of lived experience: young men will be shipped off to foreign countries, leaving emotionally scarred and psychically wounded families at home, regardless of whether or not an author decides to provide the audience with a type of magical “out.” In chronicling the growing terror of Harry’s psyche, “My Son the Murderer” begins to approach a postmodern nihilism that is rarely, if ever, associated with his work. Given that magic realism is often used as, to again quote Zamora and Faris, an “assault[s] on these basic structures of rationalism and realism...their all-at-onceness encourages resistance to monologic political and cultural structures,” what we see in “My Son the Murderer” is the ultimate victory of such “monologic and cultural structures.” The America in the story may be icy, dilapidated, a failed funhouse whose streetcars ferry men between sites of isolation and oblivion, but it still is capable of dictating the direction of its citizens’ lives, usually (especially in Harry’s case) for the worse. Even the sea, so often a symbol of the beauty and possibility of the natural world – think of the final pages of Fitzgerald’s The Great Gatsby or Hemingway’s The Sun Also Rises – is reduced to yet another site at which the author’s “trick” of the marvelous has lost its power. We know, as Harry does, that he cannot walk on water; all that he instead can do is to tell the reader of his horror (which is, by extension, our horror) of a nation so far removed from its original promise to be almost Shakespearean in its tragedy. While other, more famously anthologized Malamud stories would provide us with some type of moment of magic here at the edge of the Atlantic Ocean, in the year of such vast tragedies for American men and women (and the world as a whole), “My Son the Murderer” gives us only a meditation on the very meaning of magic itself: Harry, the “hero” of the story, is a man with no mythic, epic purpose, no special trait that will allow him to both save himself and the larger world that he lives within. He is but a man forced to carry through the corrupt, immoral policies of a government that does not care about him, a man who is aware that what lies on the other side of the sea that he looks out on is not the salvation of the marvelous, the unexpected, the uncanny, but a country mired in a Civil War that he will be asked to “police” until it kills him. In writing on an earlier horror-tale – Samuel Coleridge’s mystic dream-poem “The Rime of the Ancient Mariner” – Hugh Parry writes: "Coleridge’s traveler, then, is not only a sinner but also both a magician and a poet. In each capacity he is an extraordinary, lonely, outcast figure, whose wisdom the world is loathe to hear. Before he becomes the godlike prophet, the spellbinding voice of truth, the poet must pass through ‘hell.’ Hell for the Romantics is a level of mind filled with terrible but transforming energies which the poet must plumb. He has a message to impart, a vision to communicate. But of no less importance is the experience itself, of the enchanted depths into which the creative mind must sink if it is ever to rise, from emptiness to inspiration, from ignorance to enlightenment, to become at last a persuasive voice of truth, the poet inspired with strange powers of speech." We cannot overlook the inherent optimism of this passage. Parry’s emphasis on the hero-magician’s ultimate fate – that he will become a "godlike prophet" – tempers the “road of trials” portion of his journey with the knowledge that his destiny is one whose ultimate outcome will be of not only success, but transcendence. Such transcendence is impossible in “My Son the Murderer.” This story is instead the blending of two interior monologues by two haunted men, ground down by the weight of the mundane – of sleeping and eating, walking and talking – that has been infused with a fatalism that cannot be escaped. Unlike Coleridge’s “traveler,” America contains no “energies” which Harry can “transform” – instead there are bombs to be dropped, atrocities to be committed. Harry has not been charged, like Coleridge’s traveler, or, to go further back, like Dante, to “pass through ‘hell,” he has been consigned to it. And there is a grave difference between the two. The goal of my essay is not to diminish the very real narrative powers of magical realism; some of the finest, most politically potent works of literature over the past half-century have been written in this genre: Salman Rushdie’s Midnight’s Children, Toni Morrison’s Beloved, Gabriel Garcia Marquez’s One Hundred Years of Solitude, not to mention the “marvelous” fables of Jorge Luis Borges and Italo Calvino, John Barth and Donald Barthelme. Nor is it to challenge Malamud’s standing as one of America’s greatest magic realists; there is no denying his contributions to the genre. Rather, I think his decision to keep the “marvelous” out of “My Son the Murderer” represents a unique moment in Malamud’s canon, where, writing in a year that saw his nation often quite literally on fire, he meant to provide no means of “fantastic” escape that would perhaps leave his readers with a type of unearned hope. No, “My Son the Murderer” is very much – from its title to its closing lines of Leo’s witnessing his son’s "feet in the ocean," rather than upon it – a narrative whose despondency perfectly mirrors the despondency of the nation at-large. And as such, it is a story deserving of a second, closer look.